These unique pre-lit Christmas tree. 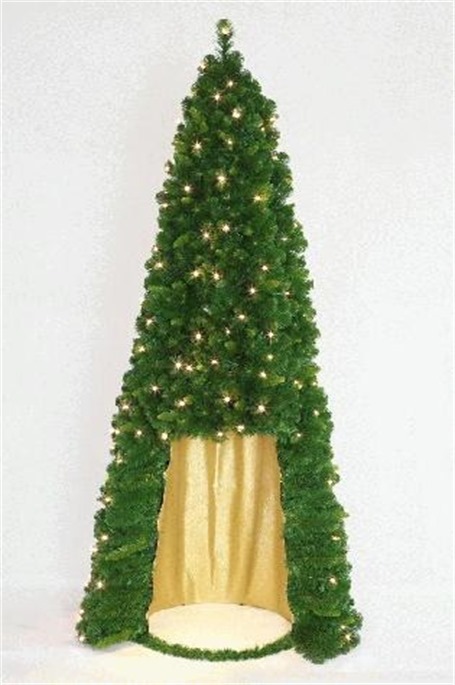 The tree is available at 6ft with warm white led lights .The open space in the tree can be occupied by a crib or toys or any seasonal items.The tree is very easy to assemble as it consists of only 2 parts. Height 6ft, tips 965,200 warm white led lights.